Florence,Italy-the center of art which flourished during the era of Renaissance. 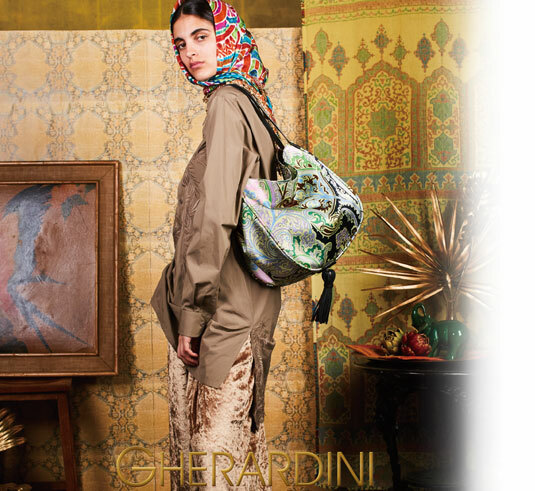 From GHERARDINI collection, we can feel the city’s smell of elegance and modernity. 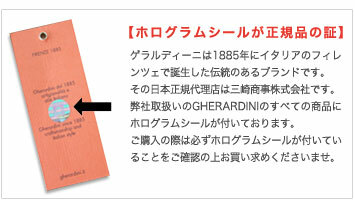 In 1885 , the company GHERARDINI was founded by Mr. Galibardo GHERARDINI, artist. Calf Bag created by himself shows craftsman’s technique and sense as a specialist. It is said that in addition to its high quality,its elegance and grace made it become the target of the envyamong all European ladies. Continuous challenge to the new by Mr.Galibardo GHERARDINI. His policy is taken over even after a century, which attracts people all over the world.